HDR Photography involves shooting multiple photos of the same image. But sometimes capturing more than one exposure is impossible. When the subject your photographing is a moving car or a flying bird, there’s no way to photograph more than one shot of the same image. 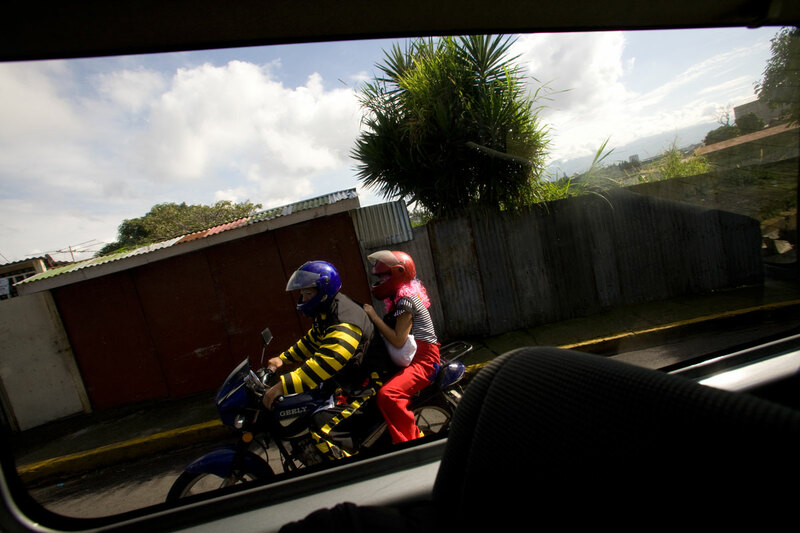 The three photos below is a result of me shooting from within a moving bus. The camera was hand held and the clowns were riding a moving scooter. Not the ideal situation for shooting HDR! 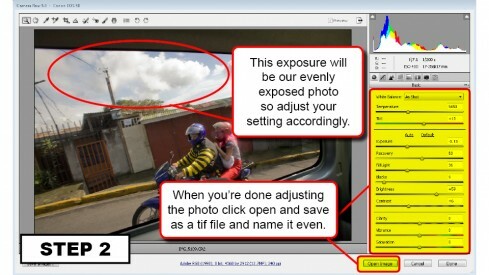 I’m sure you don’t need me to tell you that if you merge the exposure above, the results won’t be pretty. But just in case you’re the type that needs to see it to believe it, I’ve included it below. But we can still create a decent HDR image of the photo above. Instead of using all three exposures to create the HDR photo, we’re only going to use one. The exposure we’re going to use is the the over exposed image which I posted below. The photo above is a perfect candidate for creating a HDR photo. Notice the blown out sky and the extremely dark foreground. HDR will bring back colors in the sky and the details in the foreground. 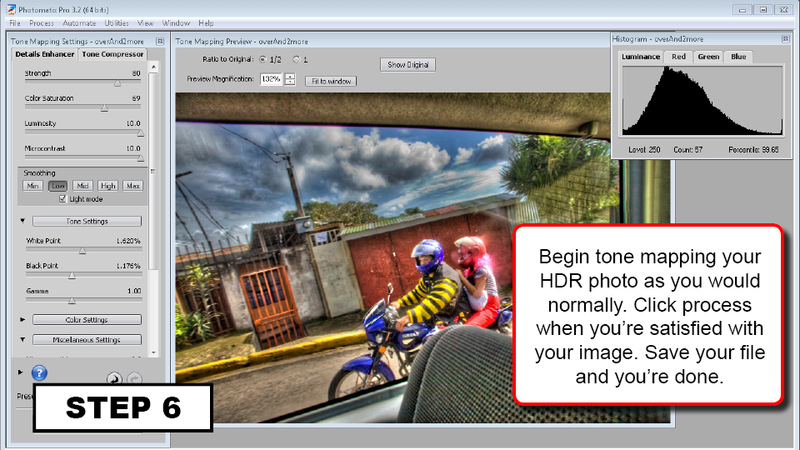 Photomatix will allow you to tone map a single RAW file to create a pseudo HDR image. You can do this simply by opening your RAW file in Photomatix. Once your RAW file is open you will be able to tone map your photo into a HDR image like you would normally. Personally I don’t use this technique because Photomatix doesn’t have any way of separating the light areas from the dark areas. This results in a very flat image with little definition. That’s why I prefer the second technique, which does a much better job of creating a single exposure HDR photograph. The second technique is my preferred method. I developed this technique because I was unhappy with the results of the first process. This method allows me to tell Photomatix how to separate the light and dark areas. I do this by manually creating my light and dark exposures from the single photo selected above. These exposures are created in Photoshop using the RAW converter. 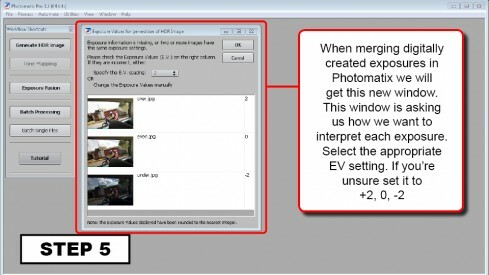 Below is a step-by-step tutorial to show you how to create your exposures. 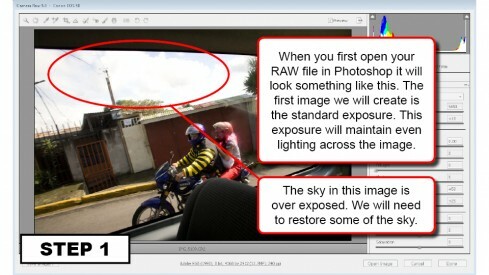 When you open your RAW image in Photoshop you get the Camera RAW window. This window will allow you to adjust your exposure. This is how we will be able to create our digital exposures. The first exposure we will create is our standard exposure. Adjust your settings so that this exposure is evenly lit across your entire image. Click on open image once your done adjusting the exposure. 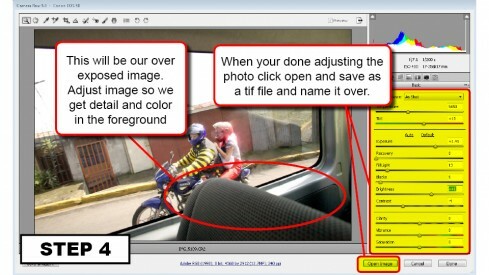 Save that file as a TIF file. You should name it EVEN or anything that will remind you that this file is the evenly exposed photo. The second exposure we will create is our under exposure. 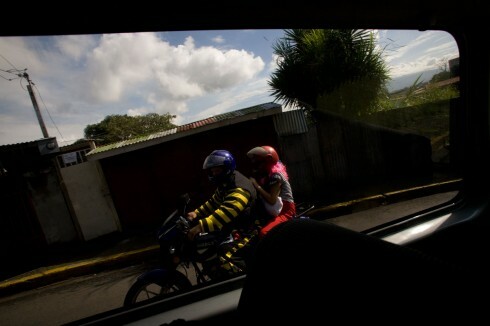 Adjust your settings so that this exposure is underexposed by 2 stops. Focus on getting any over exposed areas dark with color and detail. Click on open image once your done adjusting the exposure. 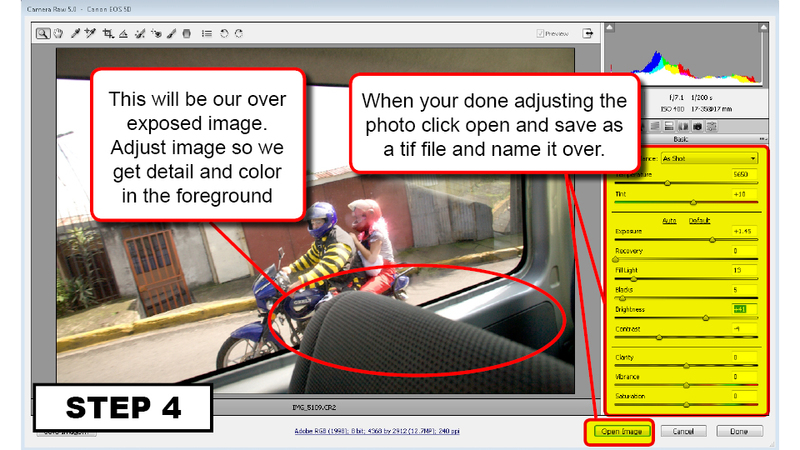 Save that file as a TIF file. You should name it UNDER or something that will remind you that this file is the under exposure. The third exposure we will create is our over exposure. Adjust your settings so that this exposure is over exposed by 2 stops. Focus on getting detail in your dark areas, mainly the foreground. Click on open image once your done adjusting the exposure. Save that file as a TIF file. You should name it OVER or something that will remind you that this file is the over exposure. 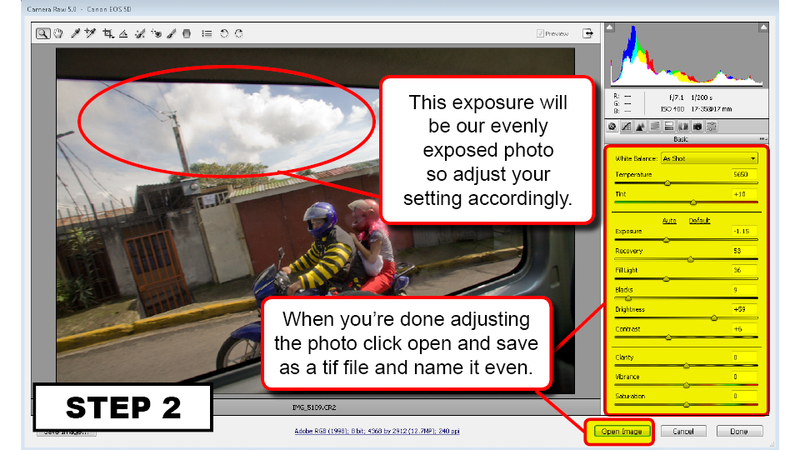 Once you are done creating your exposures you can use them to create your HDR image in Photomatix. Proceed like you normally would when creating your HDR photo. You will get a new window were you will need to input EV settings. Set them to 2, 0, -2 if you aren’t sure. Proceed to tone map your image like you normally would. 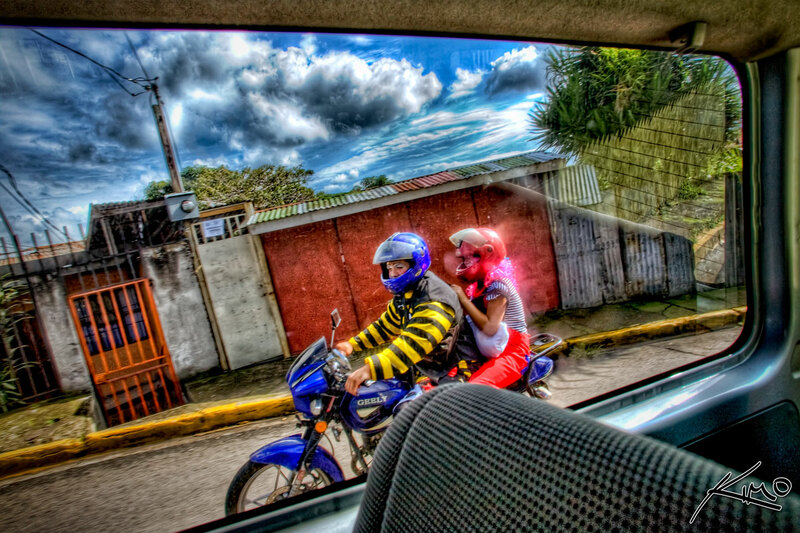 Once you’re satisfied with your tone mapping, process your HDR image, save it and you’re done. Most likely you’ll need to run your image through Topaz DeNoise cause single exposure HDR is notorious for producing grainy images. That’s it for this tutorial. 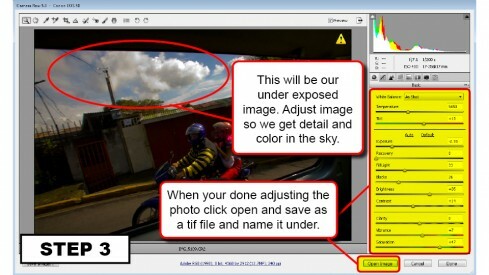 I hope this information on single exposure HDR was helpful. Drop me a comment if you have any questions. What Topaz plug-in would you say is most helpful? Like if you could only use one of them which would you choose and why? 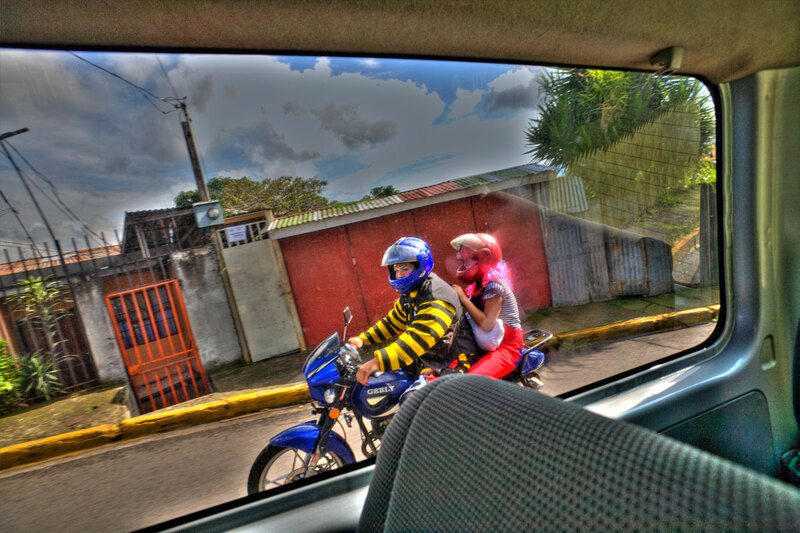 I was thinking about getting Topaz Adjust. Wow! It’s my first time to read this 2nd procedure of doing 1 photo HDR. Actually, I came to discover the process when I was challenge by a friend. The only difference is I save it as a jpeg file and I don’t use the Topaz. Thanks Captain Kimo! No problem Carlos, I hope you enjoy the plugin as much as I do. Yes, it’s possible to do single exposure with jpeg. I’ve done it a few times pretty successful. software but enjoyed the article “single Exposure”. 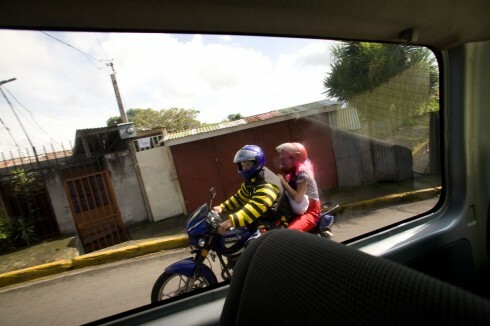 file? Just for the FUN OF IT, I’m sure there is a great compromise in the quality. There is someone out there that does this, and I thought the work came out great. It definitely has it’s own characteristics! So, since color negative film has an inherently far greater dynamic range than digital capture, I’m guessing that if I scan a single color negative at three different exposures, I should be able to achieve pretty acceptable results? 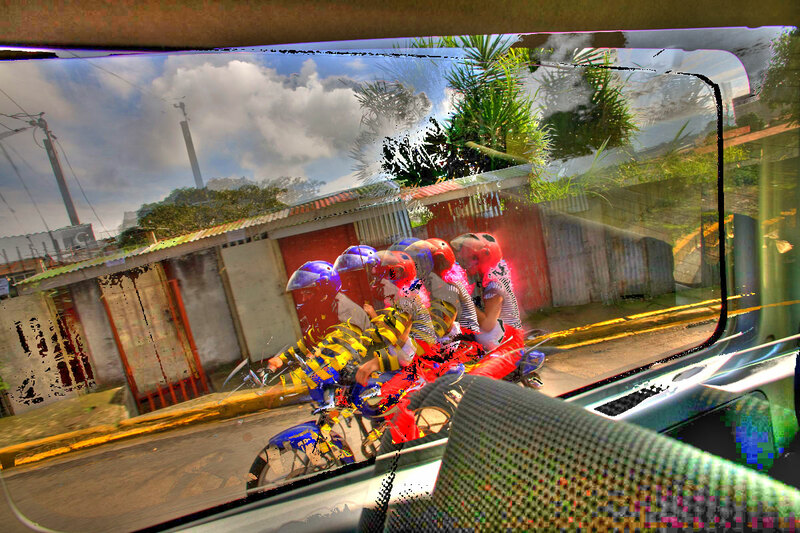 Great explanation of the single photo HDR. I use the single photo HDR for any photo I publish to my site. For me, it gives me better control of the picture, so I’m not locked in to what my camera’s manufacturer is. Beware to the readers though, my camera club is not a fan (yet) of what I do. I get a lot of comments and discussions, but getting them to come over to the dark side isn’t in the cards yet. Captain, Thank you for putting so much info into your site. I can’t tell you how helpful it is. I discovered your site by googling HDR photography. I purchased the Topaz software bundle last night, and completed my first photo. I was impressed with myself even though it was the software that did everything. I couldn’t have done it without your tutorial. I will be watching your site.